BOOM! Studios is proud to announce the MOUSE GUARD ALPHABET BOOK, a new all-ages hardcover publication from Mouse Guard creator David Petersen and illustrator Serena Malyon set to debut in September. Learn the ABCs in the world of David Petersen’s Mouse Guard where brave mice protect one another from predators large and small, explore the expansive nature around them, and thrive in harsh conditions. Hand-painted by Malyon (Magic in the City, Button Hill), this is a look into a beautiful world with rich culture and stalwart friendships, worth exploring one letter at a time. 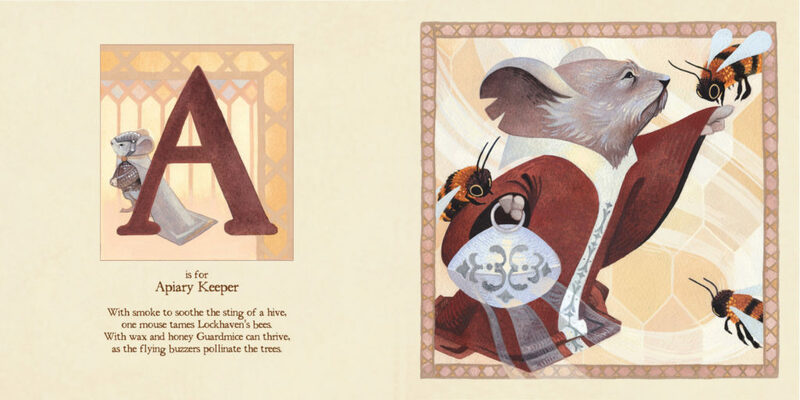 “The idea for the alphabet book came from my wife, Julia,” Petersen explains. “There were a few Mouse Guard projects she’d been suggesting for years that I brushed off in favor of more Legends of the Guard. One was last year’s coloring book, and once that was rolling I gave an alphabet book more consideration. After all, Mouse Guard has been around long enough that early fans are now having children. But we’d come to the realization that, artistically and production-wise, we couldn’t entertain the idea if I had to illustrate all of it. 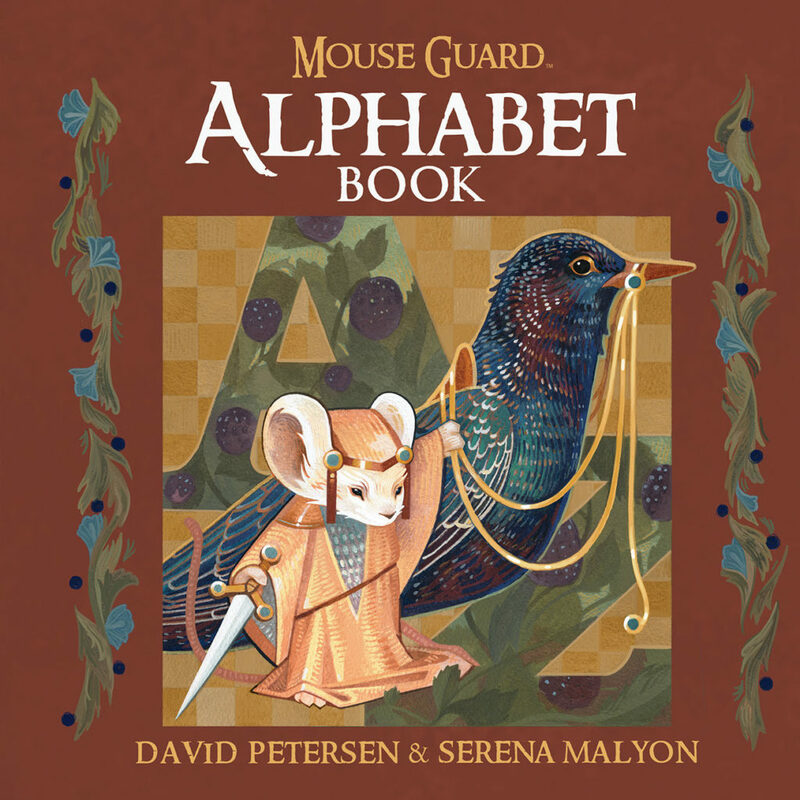 Mouse Guard Alphabet Book is the latest release from BOOM! Studios’ Archaia imprint, home to an acclaimed line of ambitious and award-winning graphic novels, including Rust by Royden Lepp; Jim Henson’s Tale of Sand by Jim Henson, Jerry Juhl, and Ramón K. Pérez; The Realist by Asaf Hanuka; and Hacktivist by Alyssa Milano, Jackson Lanzing, Collin Kelly, and Marcus To. For news on the Mouse Guard Alphabet Book and more from BOOM! Studios, stay tuned to www.boom-studios.com and follow @boomstudios on Twitter.